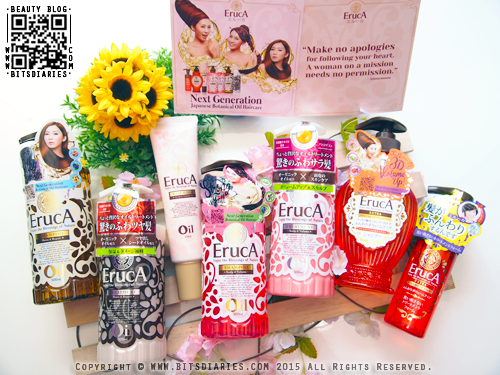 Introducing a new hair care brand "ErucA" — a Japanese brand that utilizes 12 different types of botanical oils to formulate its shampoos, conditioners and treatments. ErucA hair care products are designed to cleanse, repair, smooth and add shine to tresses without weighing them down or leaving a greasy after-feel. The secret to its success is the blend of natural seed oils from broccoli, cowberry, bilberry, milk thistle etc., which provides tresses with nourishment, repair and luster. It also acts as a natural silicone but without the harmful effects of silicone that you may experience when using regular hair care products. Therefore, it effectively nourishes and thoroughly cleanses your hair without stripping your hair of its natural oil. - Moist & Repair tames your unruly hair into beautiful lock of hair. With it's hair defining formula, it aims to restore water and oil balance in your hair and scalp, keeping your locks frizz-free. 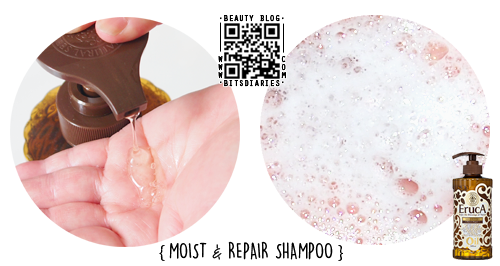 Moist & Repair shampoo lathers up easily in just a few rubs. The conditioner has a creamy texture that leaves hair silky soft. This variant deeply cleanses and repairs tresses from the inside out, leaving tresses more manageable with a soft and glossy finish. Plus it has a pleasant floral fragrance. If you have dull, dry and frizzy locks, this is the one for you! - Scalp & Volume uses botanical oil extracted from specially selected seed oils help to restore balance to your hair and scalp. It also alleviate common scalp problems like itchiness and dandruff. 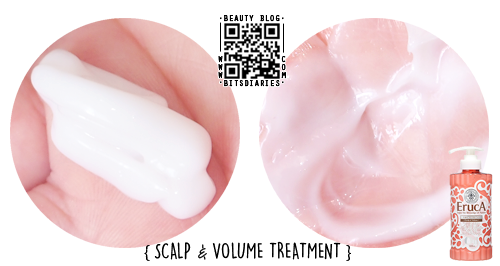 Similar to Moist & Repair variant, lathering is easy peasy for this Scalp & Volume variant. And the creamy conditioner leaves hair soft and smooth. This variant comes along with hair mask treatment that repairs damage and maintains the health of your hair and scalp. Massage in a gentle circular motion and leave it on for 5 minutes, then rinse it off. It is recommended to use 2-3 times a week. 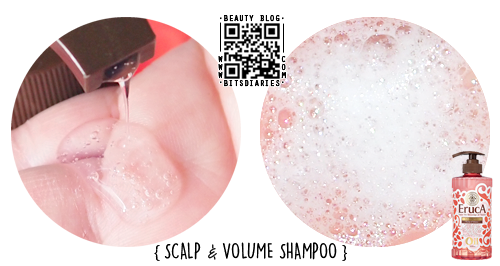 This variant cleanses and purifies your scalp, while energizing it to keep a fresh and healthy scalp. It gives your hair a sweet fruity fragrance, and also adds softness and volume to your hair. 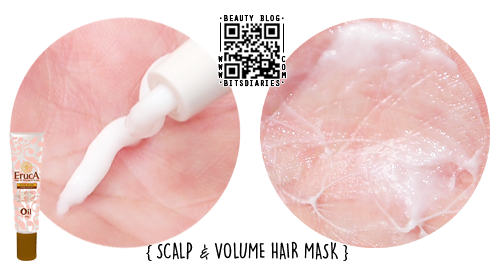 If you have concerns about itchy scalp, dandruff and/or hair loss, this variant is ideal for you. 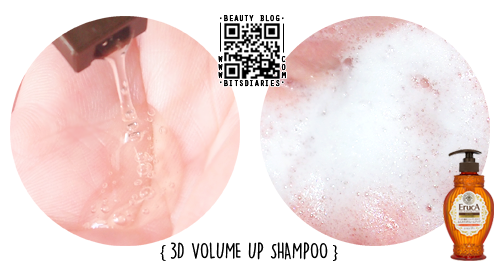 - 3D Volume Up contains a unique volumizing ingredient wraps the whole hair in a thin veil to create volume from the roots without any harmful after-effects. 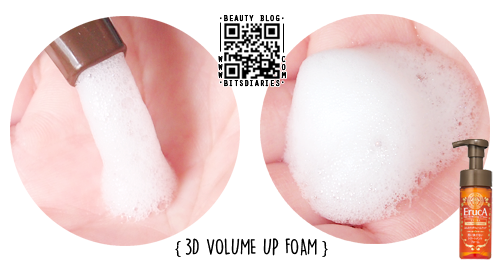 3D Volume Up shampoo also lathers up easily. The following is a non-rinse leave-on hair treatment foam that gives hair an airy and voluminous finish. All you need to do is to pump an adequate amount onto your hands and brush evenly throughout your dry hair from the roots to the tips in an upwards motion. This variant strengthens weak strands and lifts lifeless hair at the roots, making your hair looks bouncier and less weighed down. In terms of scent, I don't know how to describe it exactly, but it's fresh and pleasant. In my opinion, this variant is best for people who have thinning hair issues or for people who wants to style their hair for an airy, fluffy fuller-looking mane. How To Use the shampoo: Just use the right amount of shampoo for your hair length, lather, rinse and apply conditioner. 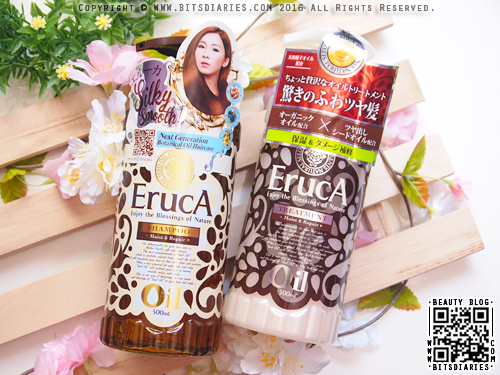 All ErucA's shampoos lather up into a soft and fine thick foam that deeply penetrates into your hair, gently cleanses and moisturizes your hair and scalp. They are very gentle, and therefore suitable for all hair types and sensitive scalp. Furthermore, all the products are free of silicone, sodium laureth sulfate, mineral oil, alcohol and artificial coloring. They are not only gentle on the hair and scalp, they are also skin-friendly! Out of the three variants, I prefer the Moist & Repair because I was born with naturally voluminous and thick hair. Thus, I will usually avoid any hair care products that work on adding volume. The Moist & Repair variant doesn't add any volume, which is something I like. 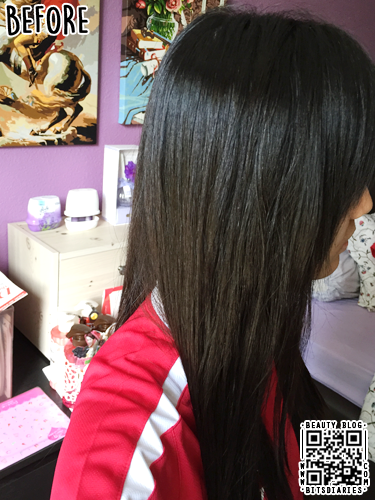 After using this variant, my hair has this amazing glossy sheen that I'd never ever seen before. I love the look this variant gives my hair! I also love that it makes my hair smoother and more manageable, as well as keeping my hair and scalp healthy! What's more, all three variants have a relaxing and exquisite flower/fruity fragrance that leaves hair smelling divine all day long! LOVE LOVE LOVE~! 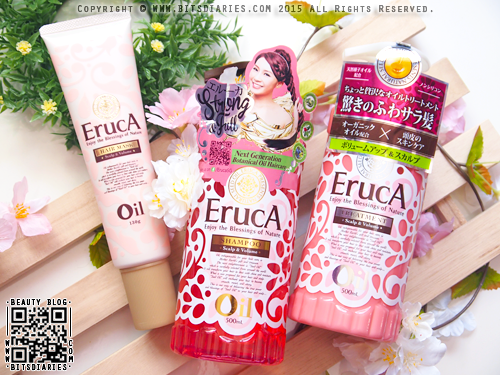 Another thing I love about ErucA's hair care products is that they are silicone and sodium laureth sulphate (SLS) -free formulas, which are supposedly less harsh on tresses than those made with silicone and SLS. To be honest, I was surprised that ErucA's hair care products actually do what it claims to do. I was skeptical at first hahahaa~ It didn't disappoint me. In fact, it surpasses my expectation! 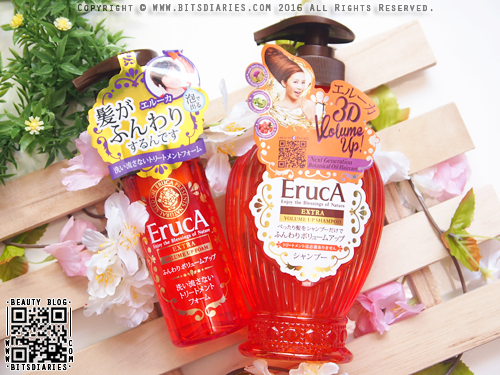 ErucA has now officially become my favorite hair care brand and I absolutely adore their Moist & Repair variant. 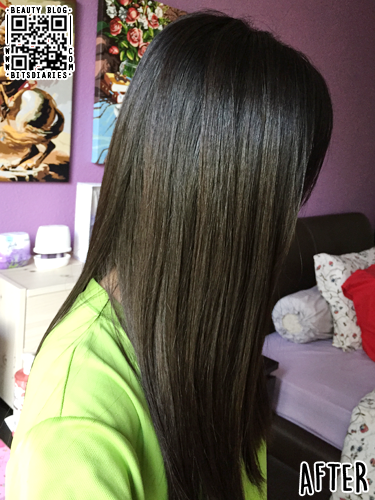 And hey, it's my first favorite hair brand and products for Year 2016~! 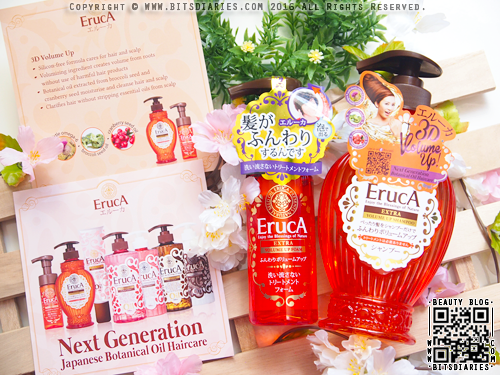 ErucA uses nature's best to treat and pamper hair and scalp. 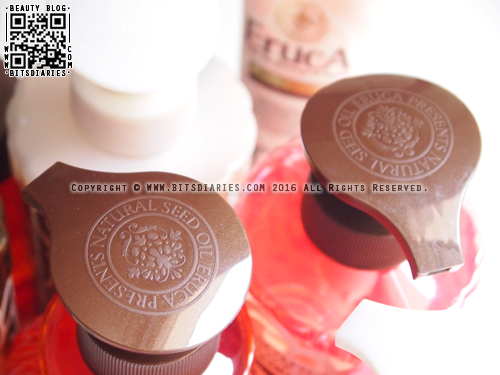 For some major tender loving care for your hair and scalp, try ErucA today! 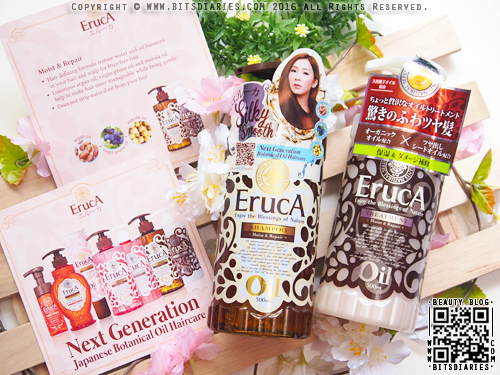 ErucA, the next generation botanical oil hair care, is available at Guardian and Tokyu Hands. Alternatively, you can get it from Maimee's Corner (maimeescorner.com). Prices range from SGD$18.90 to SGD$22.90. If you would like to try before you buy, click here to redeem free samples. Don't say I never share ah... 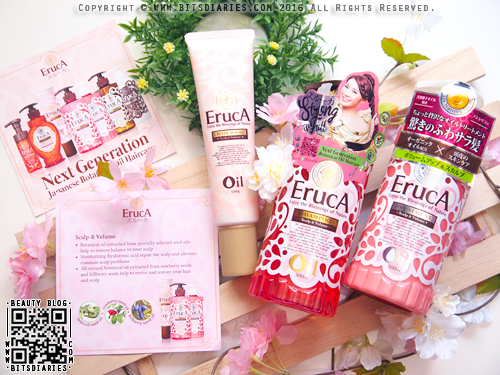 There will be weekly contests on ErucA's Facebook Page. So be sure to LIKE ErucA on Facebook https://www.facebook.com/erucasingapore/ in order to participate in the contests and win attractive prizes.